This year’s draft will be another usual one but I expect defensive players to be picked in abundance as teams try harder to prevent offenses putting up big points and the new love for tight ends. Luckily this draft is heavy with defensive backs and defensive lineman. There are no real stand outs at linebacker (other than Kuechly and Hightower (3-4)) but there are a number of serviceable players at the position in later rounds. Defensive end is surprisingly weak this year. Wide Receiver is packed full of big guys and Running Back has a big mix of different types of players. It definitely will be an interesting draft. When making a mock there are a number of things I like to take into account when looking at who to pick. These are the types of things I would think General Managers and Head Coaches do. For example looking at the current roster and trying to think like the coach. To see what he is seeing with the roster and the needs that need to be filled. What is available in the following years draft needs to be taken into account so you can know what players you can target. You have to be wary of what your competitors are doing, who they are picking and their needs and what you will be facing next year in the division (say the Chargers pick pass rushers, we may need more help on the OL). There is also the need to understand the scheme and what the coaches like to do with their players. Finally when 'picking picks' it is also about maximizing what you have and the combination of players you can get with your draft. Let’s start with breaking down the roster and looking at the needs for the team. There are a number of holes in the roster. Last year on defense we needed to focus on all three levels as they needed impact players and an upgrade of talent. This year because of solid drafting and FA we can focus our needs more. The offense has been totally overhauled and will be much different this year. The roster is fairly solid but I worry about our depth beyond the starters. Below is an explanation of my roster breakdown. Note: Before we start there is something that needs to be taken into account with this kind of analysis. That is Head Coaches and personnel men are cocky and egocentric. Another man’s trash is their treasure. For example Shanny brought in Jamarcus Russell for a workout last year even though he saw him failing first hand. It is the reason that after the a high draft pick (Jarvis Moss) gets cut he will be signed by someone else. NFL management looks past previous poor play and envisions what they could be. They back their ability to turn and mold that player into something better. That being said let’s review the current roster. We will start with defense. This year we are in a much better spot than we have been in recent times but we need to continue to develop and build on this side of the ball. Starting with the defense line and defensive ends lets begin the breakdown. The current players on the roster that will play DE in the 4-3 are Elvis Dumervil, Robert Ayers, Jason Hunter, Jeremy Beal and maybe a little Kevin Vickerson. Doom is a lock at one DE spot and you would think Ayers would retain his position from last year. Doom is a very effective pass rusher and has improved his run defense greatly. Ayers is probably the best run defender on the team but he needs to start producing more sacks. If I am Fox I would continue to develop Ayers in this position and see if he can be the long term solution, he so far has showed continued improvement. I am a little worried about the depth of the defensive ends. Hunter and Beal are serviceable but if Doom goes down to injury we have no real replacement for that sort of sack production. 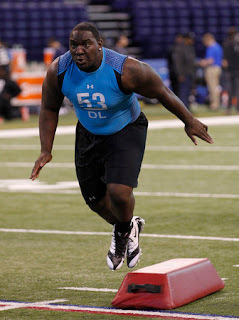 I can see a need here to bring in a young DE that can rush the passer and be involved in a rotation as he is developed. Looking at this as X-man I would see heavy money still invested into this position, though Ayers is much cheaper this year Doom’s contract is not. Spending mid round pick(s) may be the solution to get good player(s) on the cheap at this position. Verdict: Have solid starters but worried about sack production if Miller or Doom goes down. A specialist pass rusher/development DE could be used. Next up the Defensive Tackle position. The current players on the roster are Kevin Vickerson, Ty Warren, Justin Bannan, Ben Garland and Mitch Unrein. Vickerson and Warren are returning after suffering season ending injuries last year. Bannan rejoins the team after a disappointing year in St. Louis. All three I see as starters, at the moment I have Bannan pegged as NT and Warren as UT. Vickerson would be depth for Warren. Marcus Thomas is still testing the open market but he probably stays with us because no one wants to give him a long-ish deal. If so he provides depth for Bannan at NT. Mitch Unrein was serviceable last year and Ben Garland is the unknown of the group. I don't see any holes or 'needs' at this position. What I do see is a bunch of old players, some returning from injury that should not be expected to play all season long. This group could do with some youth and talent at both Defensive Tackle positions and their is more than enough to choose from in this draft. Verdict: We can get by with what we have but injuries are a concern. There is not an need to draft early on this position but some young talent is required. On the list next to look at is the second level players, the linebackers. Listed on the roster at the moment are Joe Mays, Nate Irving, Wesley Woodyard, DJ Williams, Von Miller, Mike Mohamed and Cyril Obiozor. At MLB we have the returning starter Mays and the young rookie Irving. Personally I hope Irving comes on strong and starts the year at MLB. Mays is OK but misses a lot of tackles. This position I believe is set. With the money they gave Mays and the believed high regard that Irving is held in, the Broncos will probably go with these two into the season as the MLB. I doubt they draft anyone to play this spot unless it is Kuechly who drops in the first. WLB is set with Woodyard and Williams. But SLB not so much. Miller is the unquestioned starter but there is no real depth behind him. Mohamed is an OK player but physically limited. A young talented LB may be brought in to compete with Mohamed. Obiozor is the unknown but I hope he stays because he has a sick name. Verdict: This is a solid group and the depth issues were addressed last year. Other than Kuechly to play MLB I don't see the Broncos drafting any linebacker. They may get a later round guy to develop and battle Mohamed but that is of low priority. Finally on defense the secondary, let’s start with the corners. On the roster we currently have Champ Bailey, Tracy Porter, Chris Harris, Syd’Quan Thompson, Cassius Vaughn and a host of other camp fodder. Champ is Champ but he is getting on in years and a replacement is needed when he retires/moves to safety. Porter is the new guy on the block and will be the starting number 2. Though not amazing he has been very good so far in his career and will be an improvement over Goodman. Harris has that Nickel position locked down, he should see a lot of the field this year. Squid is returning from a season ending injury and I hope he is the same player as he was before the injury. He was a ball hawk and I missed the Squid. He should have that Dime position locked down. Vaughn unlike the other two is the primary back up for Champ and Porter (in my mind). My reasoning is both Squid and Harris lack the size and speed to play on the outside. Where as Vaughn doesn't but he lacks technique. He too is returning from injury. If healthy this is a pretty solid group of players, much better than the group we had at this point last year. There is only one area of need that I can see here. That is for another guy on the outside. With Champ's age and Porter's contract I think this is the perfect time to bring in a young corner that can be developed to play on the outside and take over from either Champ or Porter in a year or two. 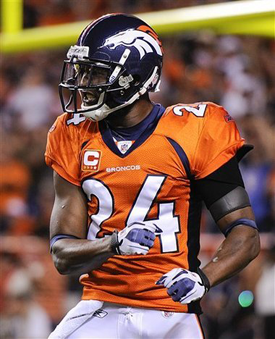 Verdict: Very solid group, young and talented plus Champ Bailey. Drafting a corner early makes a lot of sense for the future continuity of the position. Time for the safeties. The current roster of safeties looks like this Mike Adams, David Bruton, Quinton Carter and Rahim Moore. This position is set. Throw in the possible return of Dawkins and we have more than enough safeties. This position improved greatly over last year. Verdict: All set. Hopefully B-Dawk returns for that ring. In conclusion we need depth at DE (pass rusher). Young talent at DT. A young corner to play on the outside and be developed for a year. And maybe a LB that can beat out Mohamed and play the SLB spot. With the defense done it is time to take a look at the offensive side of the ball. Last year we were in dire need of defensive players. This year it is pretty even across the board and we need to continue to fill the roster with talented players. It should be noted that Manning has always struggled to win the big one without a good defense. I would prefer we spend most of our picks on defense. First the offensive line. I am not worried about the starters. 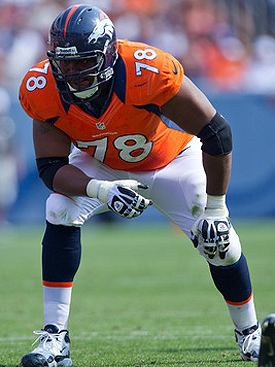 Ryan Clady, Zane Beadles, JD Walton, Chris Kuper and Orlando Franklin are young developing players and should be kept as a group. What I worry about is depth. Outside of Ryan Harris the second string OL is made up of a bunch of no names. Clark, Davis and Ramirez have been serviceable in the past but no where near ready being the starters if one of these guys gets hurt. A tackle and guard that can sit and be developed may be a good option and at a pinch start if one of these guys gets hurt. Verdict: Personally I don't see a need to draft an offensive linemen early. We already have a very young line and there is no point making it younger. We should develop these guys and with more experience they will get better. Remember this will be Beadles and Walton's third season as starters. Most players take three years to adapt. It would also be Franklin's second. I expect big things from these guys this year. I say a guard and tackle or a tweener in the later rounds is required. Next up is the running backs. The list of running backs are Willis McGahee, Knowshon Moreno, Jeremiah Johnson, Mario Fannin and Lance Ball. McGahee is the starter and will carry the load for most of the season. Moreno is coming back from another injury and could be cut. He is serviceable on third down and can catch out of the back field, a trait that appeals to Manning, so he may stay in a limited roll. JJ I want to see more of and I am hoping so this year. He is a smaller, change of pace back and has looked electric in the limited capacity we have seen. Lance Ball has been serviceable and is the second string RB but I think he can be replaced/upgraded. Fannin is the dark horse. He has all the talent and potential but is coming back from an season ending injury. He will need to show something in camp or be cut. Verdict: Fannin is the unknown, if he comes on there is no point drafting a guy, but than again maybe he doesn't. Ball I think will be replaced as the Broncos want a guy to share the load with McGahee. Whether this is a smaller back or a bigger one I do not know. But I am completely against drafting a running back in the early rounds to share the load. We have a quality group now that could go into the season as is. One guy in the middle of the rounds I say we go after. Tight end is up next and I believe it is set. 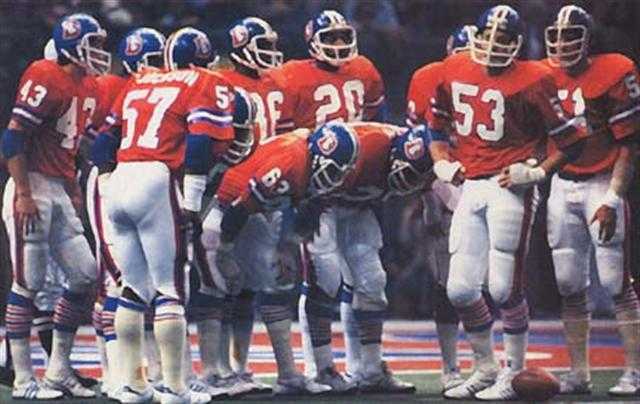 Tamme, Dreessen, Thomas and Green fill out a nice corps. I am excited to see what Manning does with this group. The receiving core looks like it has filled out nicely. With Demaryius Thomas, Eric Decker, Andre Caldwell, Ninja Willis and Brandon Stokley there really isn't room for anyone else. Mark Dell is on the roster but he probably ends up on the Practice Squad again. There is one area of weakness that I do see. I have Caldwell, Willis and Stokley pegged as slot receivers inside. Then I have Thomas and Decker as the bigger guys outside. Decker as we know will be moved around a lot but he is the no 2 receiver. What I think we are lacking is another big guy. Someone that can fill in for Decker or Thomas if needed (both have been injured before) and also be a threat in the red zone (Julius Thomas could be this guy). Verdict: Almost a complete group. I think a late round pick on a big guy to sit behind Thomas and Decker is needed. Next the Quarterbacks. At the moment we have Peyton Manning, Caleb Hanie and Adam Weber. 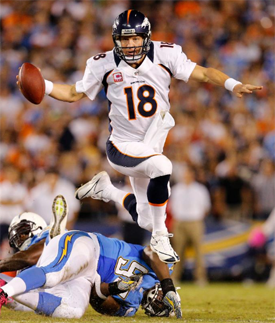 Manning is the unquestioned starter. Hanie is a guy I like but he needs to be developed and I am not a big fan of him being the primary back up at this point in time. Weber may be third string or on the practice squad again but I like what little we have seen of him so far. Verdict: Set. For me this group is enough for this year. They may bring in another veteran to back up Manning but I don't see us drafting a QB. Quarterbacks again will be over drafted this year as people reach for them and the Broncos don't want to spend a high pick on a future player when Plan A is right now. Plus since the Broncos are looking at every QB again I think we are doing our 'due diligence' and won't select any of these guys. Maybe next year but not now, unless Osweiler or Foles fall into the later rounds, 5-6. Finally I come to FB and this has became a need. We unfortunately let Larsen go to the Pats and are only left with Austin Sylvester. I am unsure of how highly we feel about Sylvester but we could be looking at fullbacks either late in the draft or Undrafted FA. Verdict: Draft or Undrafted FA. In conclusion we need Offensive Line depth. Another RB to share the load. A big endzone threat WR and maybe a Fullback. Couple that with the DE, DT, CB and possibly LB that is 6 possibly 8 players that we need. With 7 picks let's at least fill as many as possible! We have three and we all know them, the Chiefs, Raiders and Chargers. Against all three this year we did better against the run than we have in the past. We also did better against Cassel, Palmer and Rivers but we still need to improve. Offensively we struggled to pass against these guys. We also continue to struggle against the blitz and pass rushers, this is on the OL guys to get better. The Raiders don’t have any picks early and I expect them to spend most of their picks on offensive given their new coach and defensive perspective. The Chiefs I think are in need of offensive line talent and will continue to develop their defense. The Chargers are in an odd situation, they usually have a strong roster but have lost a lot of talent in FA this year. I think they are looking for pass rushers and defensive players. It is possible they may be looking for running backs too. We will then need to be strong on the defensive line, stop the run and protect the passer. We have talked a bit in the past about the scheme that Fox runs. His offense is more of a two TE, two WR with a RB scheme. Rarely goes to the 4 wide and uses a running back committee. His TEs have to block and well. But McCoy will call plays, don’t be surprised with Manning and the receivers we have on the roster to see a number of 3 and 4 wide sets and audibles called at the line. Main thing to take away from this is that Fox is not a big user of TEs other than as blockers. But with Manning on the team and the personnel we now have at TE these guys will be more involved this year in the passing game. This will be a very different offense to what it was last year. On defense Fox uses a 4-3. His DTs are usually bigger (up in the 330 range) with athleticism to get after the passer. His DEs have normally been bigger than other 4-3s like the Bucs. He uses a heavy 270+ DEs, think Julius Peppers and Charles Johnson. 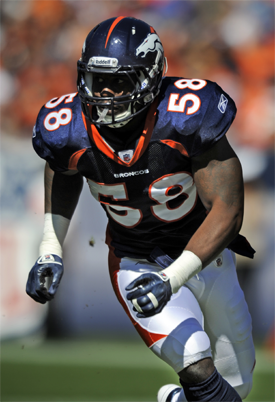 With the bigger boys up front Fox likes to use smaller fast linebackers, like Jon Beason, that can tackle and cover the entire field, but if a guy like Von Miller comes along who is bigger and has the speed of the smaller guys he can use them too. His secondaries have never been amazing, just very solid. Last year we saw some creativity from DC Allen with his blitz packages but not to the extent that you see with the Saints. It will be interesting to see what Del Rio's perspective will be on the defensive. He like Fox likes big DTs and runs the type of defense Fox likes. It probably won't be as creative as Allen's defense but should be just as effective. Hopefully we see further improvement from this group and they creep into the top 10. Finally we get to the mock draft. This has changed a lot me over the past months and keeps changing. But these are the thoughts and ideas I have been having. Also if you skipped the other bits and came straight here, shame on you haha. The Broncos have the 25, 57, 87, 108, 120, 137, 188 picks as it stands now. Here is a little I had to say on Gilmore. He has had a number of takeaways in this career but not enough to say he is a ballhawk. Athletically and his body make up is everything you want for a number 1 corner. He could add a few pounds of bulk to get a little closer to 200. He has decent ball skills. He needs a little work on his footwork and turn but I thought it was pretty good. He is a physical tackler, leads with the shoulder a little too much just needs to extend the arms and wrap up. He has good recovery speed. He needs to be more violent with the hands to beat the receivers blocks. Gilmore is the only corner I would be happy with us taking at 25#. For me he has more potential and could possibly become a number 1 guy for a team. If not definitely a very good No 2. He is not without faults and needs work on his technique and coverage ability. But the potential is there. Gilmore for 25#. Gilmore has impressive footwork for his size which he uses well in a shuffle-shuffle-bail technique at the line of scrimmage. Although this isn't considered the most efficient technique, Gilmore makes it work, which allows him to use his huge frame to mirror and cut off receivers early in their route. He is a natural cover man who can jam at the line and stay with a receiver in his hip and use his strength and length to make plays on the ball and finish plays. Gilmore loses a lot of his fluidity when working in zone or off-man, and his eyes slow his feet in that he doesn't diagnose routes as quickly and will get his feet stuck in the ground prior to breaking. Gilmore was able to rely on size, strength and athleticism to cover in college and will get exposed by the veteran technically sound receivers in the league. He will struggle when forced to work within specific schemes that don't allow him to play freely. I really have grown to like Gilmore. For me he has more to offer than either Jenkins or Kirkpatrick and he could very well go much higher than this spot. For more check out the Cornerback Prospects page. After getting our cornerback it is time to move on and pick another position. For that reason this rules Josh Robinson out at this spot. Doug Martin and Andre Branch are both guys I really like but both should go early in the second if not late first. That leaves me with the guy I wanted to pick Brandon Thompson. Here is what I had to say about Thompson. His body looks like it has already filled out. He looks like an NFL linemen already and that doesn't leave much growth. His body is solid throughout and is very powerfully. Thompson is a space eater and would play NT for us. He needs to have better technique for the double team. Played more as a 2-down lineman as his pass rushing skills are not the greatest. He has great pad control and explodes off the snap. He has a good bull rush and usually beats guards with power alone. Needs to hit with more power at the point of attack to be disruptive at the next level. Has OK vision for the ball carrier but goes with his instincts sometimes which aren't always correct. He is solid against the run. When double teamed he tries to fight through it. He could be more violent with his hands. He collapses the pocket regularly. He could show more effort when chasing down the play. He does have some moves and he should use them more, has a good rip move. When your looking at NT for our 4-3 the two that stand out are Brockers and Thompson. Brockers has more potential and upside but Thompson could come in and start day one. He has also been more consistent compared to Brockers. He looks like the perfect replacement for Bunk and if he falls to us in the 2nd round I think he could be the pick. Thompson is an incredible run defender inside. He is consistent in his play and uses his feet to make plays happen against the run. He comes off the ball quickly and is able to fill gaps well at his size. He also make plays on the ball carrier. He is a very strong player who knows how to use his hands and disrupt plays in the backfield. Thompson tends to be negated by double teams inside. His substandard technique can limit him at times and contributes to his inability to get past those doubles. Though he is stellar against the run, he is limited against the pass, only occasionally making things happen as a rusher. Thompson like I said is the perfect NT for our 4-3. For more check out the Defensive Tackle Prospects page. After taking Thompson in the last round there is no need to take Martin in this round. Also having taken Gilmore in the first I don't see a need for another corner yet, so there is no need for Norman. That leaves us with two choices Isaiah Pead and Chandler Jones. Pead is my favorite running back in this years draft but if Jones drops this far in the draft he has to be the pick. 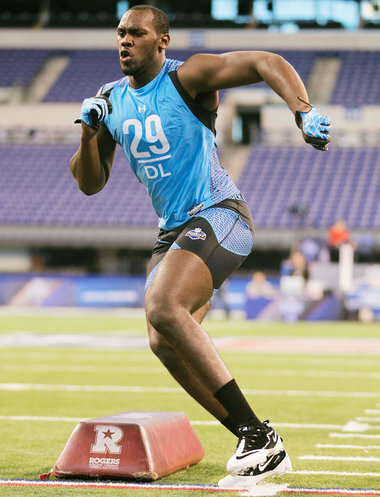 He has all the tools you need to develop as a DE and has been mentioned as going as high as the first round. Plus I like getting backs in the latter rounds. Therefore the pick should be Chandler Jones. Here is a little more on i had to say on Jones. He has great size for the position and monster arms. He has plenty of room to grow into his frame. He had decent college production. He has thin legs much like his brother. He has a very long and lanky frame. He looks like he could add a lot of bulk to it. He doesn't have the greatest footwork, this is probably due to his long stride. He is definitely a DE at the next level. He is a good tackler. He could be a little faster coming around the outside. He is Ok off the snap. He posses a great motor. He is pretty strong at the point of attack, strong enough for OTs. He needs more use of the hands. He is a disruptive player. I am not going to lie to you I really want Jones. After following his brother for quite some time and watching him develop into one of the best MMA fighters in the world I hope Chandler can do the same. He is a development player and will need to be coached up. But he has the tools, with technique and another 20 pounds of muscle he could be a monster coming from DE. He might even be better served getting much bigger (290-300) and playing in the Under tackle (3-Tech) in the 4-3. There is just so many possibilities with Jones and he would be a tremendous development pick in the second round. I hope we snag him. Jones is undersized but finds numerous ways to overcome that shortcoming to be an effective end. He has the tools to stay on the line at the next level and work mostly out of a 5-technique position, as he excels at working in short areas and being a scrappy, active player in the box. He has a good wingspan and is a long strider, which gives him great range to run down outside runs. He uses his arms well to keep linemen at bay, and he displays good technique to defeat blocks through hand fighting. He is an effective tackler with a lot of range. Although Chandler tends to get upright immediately at the point of attack, he is a good pass rusher who plays to his strengths. Jones is undersized and could have issues against stronger offensive tackles. He is a long strider who takes too many steps to get to full speed and looks lost at times when diagnosing run plays. He is an effective player when moving decisively, but he can be out of place at times on the defensive line. Once in the backfield, he has trouble readjusting his body to get a clear path and burst toward the quarterback. Hopefully he develops and becomes as dominate as his brother. For more check out the Defensive End Prospects page. After three picks on the defensive side of the ball it is time to look at the offensive side of the ball. I am of course thinking running back at this position and I am targeting three guys in this round. Bernard Pierce, Robert Turbin and Cyrus Gray. Turbin for me is a carbon copy of Michael Pittman. I do like him but I have other favorites that I would pick first. Pierce I don't know about but I always think that there may be something special about him. He could very well be the pick but for me my second favorite back will be the guy, Cyrus Gray. More on Gray. His measurables all check out. He has a compact and strong body type. He needs a little work on his footwork. He is a decent catcher of the football. He posses decent vision and can find the hole. He has some moves and can make people miss. He can get physical at times and is not afraid of contact. Is a decent runner inside, he can work between the tackles. He can run through arm tackles and gain tough yards. He is patient and will wait for his blocks to setup. I really like Gray. Him and Pead were very similar backs but I think Gray is a little bigger and can possibly add a little more bulk. Gray will be a good back for the Broncos. For more check out the Running Back Prospects page. After getting our running back there is three other prospects that I am targeting in this round, Jaye Howard, Jared Crick and Tank Carder. Since I have already have picked a DT and DE I can look ease where. That leaves me with one prospect and that is Tank Carder. Now personally I believe Tank will go in the third round but since it is a weak draft on linebackers and inside linebackers usually drop Tank very well may be available in the fourth. He would be the perfect linebacker for our team. Here are my thoughts on Tank. Carder has had to come back from injuries which he sustained in a car accident years ago but these should no longer be a problem. When he was timed at the combine he showed a lack of straight line speed. He has a solid body throughout. He could get a little bigger in the torso and shoulders, overall he needs to be more muscular in the upper body and arms. He is pretty good in space and is able to drop the hips and turn. Is a little slow with his footwork but decent with his lateral movement. He has nice soft hands for intercepts. Has a great motor. Struggles with blocks from the offensive line, getting stronger up top may fix this. Has good vision for the ball carrier. Is a very aggressive LB. As such he needs to wrap up when tackling. He was ask to blitz often but probably doesn't have the speed for the next level to do that consistently, he will get a few sacks over time. Is a pretty hard hitter. He looks much faster on tape than he was timed (that is confidence). He was pretty good in coverage and can get from sideline to sideline. I was worried going in looking at Carder but I came away really liking what I saw. He is the first linebacker I have looked at that I would say is 'aggressive' and will knock people out. But he needs work on his wrap up. For the Broncos I don't really see the fit. He is more suited to the SLB position (Von Miller) to start right away but could play ILB in a year or two when he has worked on his technique and tackling. In the 3rd he is pretty good value and should be able to contribute on special teams and work himself into the rotation early. If we don't bring back Haggan he could be a nice replacement to sit behind Miller for a while. The Mountain West defensive player of the year has been a seriously consistent performer. He is active in the run game and relies heavily on his instincts to diagnose plays and hit his gaps. His back-to-back POY awards speak for themselves as far as the experience he brings to the next level. He has the size and strength for the next level and is a very productive tackler. Once he sees a play he is quick to get there, and it's obvious that he understands how to read offensive lines to help him diagnose. A strong player who will fight his way into a role at the next level. 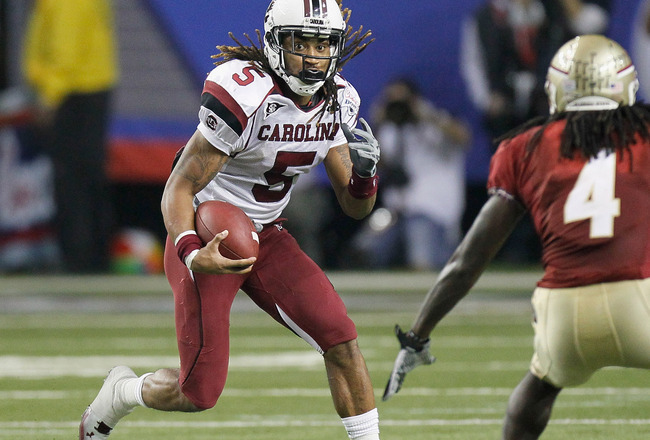 Carder is a bit undersized and doesn't have the speed to start right away in the NFL. He diagnoses plays quickly, but his athletic ability can be exposed when he has to dip his plant step to drop back into coverage and scan the field for crossing routes. He needs to work toward the ball to be productive, but when he does, he has set records in the Mountain West for taking the ball to the house after interceptions. All of his production comes off his instincts and many will question his athletic ability as he moves to the next level; he needs to have strong workout-based performances as he shows his ability to scouts before the draft. Notice I said I can't see the fit for us but I was wrong and right. Since we haven't brought back Haggan there is room on the team for a SLB and a young linebacker. Tank fits that bill perfectly. For more check out the Linebacker Prospects page. At this point I would be looking for the most promising talent to develop. Robertson and Jackson are both potential targets but already having taken two defensive line guys I am going to look else where. Having taken Tank last round there is no need for another LB in Davis. That leaves me with Brian Quick and Coryell Judie. Quick is a big wide receiver and could very well be the pick but Judie has me intrigued. He has all the things you look for in a corner but has been injured recently. The thing that sold me on Judie over Quick is he has extra value as a returner. Here is a little of my thoughts on Judie. He has the make up of a corner and enough speed to possibly be a top guy for a team. His short area quickness wasn't very good but he is recovering from injuries. His injuries may mean he slips through the cracks and he could be a steal late in the draft. He has extra value as a returner. He has great ball skills. He is physical enough for a corner. His recovery speed is solid. Judie is the corner I would love to see us draft late in the 5th round. He is a steal here. Judie will need time to develop but he has big time potential written all over him. The Broncos need to be thinking about this guy later in the draft. Judie excels playing man coverage. He can stay with his man throughout the play but will need coaching on making plays once the ball is thrown. He can make interceptions but is not aggressive to squeeze the route when running close. 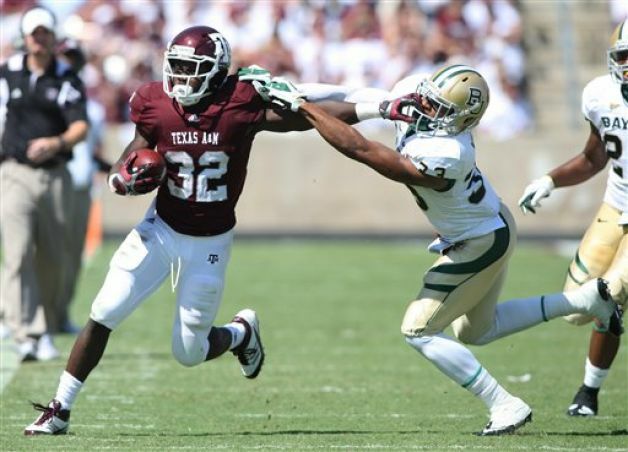 He has been a good zone player as well throughout his time at Texas A&M. He has value at the next level as a returner, where he has been productive in college. Judie struggles at the end of plays to finish on the ball. Injuries have led him to regress throughout his senior year and turned from a serious return threat and a guy who could press to start in the NFL early into a guy who would now just be serviceable at the position. He needs to rekindle the aggressiveness he displayed throughout his junior year. Judie here is a steal, if he can stay healthy Gilmore and Judie will be other starting corners into the future. For more check out the Cornerback Prospects page. After taking a lot of defensive talent I would now go after some offensive players. That of course means ruling out picking Danny Trevathan even though he is my favorite linebacker. That leaves me with three other players to pick from. Looney I really like but he could go higher than this. Johnson is a freak with that body but I am looking in another direction. I want to get a big dude to be a red zone threat and for me the perfect guy is Lavasier Tuinei. A little of my thoughts. Lavasier is a guy I have been following with interest. He has a long lean frame because of his height. He had a great year for the Ducks and I was surprised he didn’t get an invite to the combine. He was the MVP for the Rose bowl this year. He is a great catcher of the football, drops the occasion ball. Is physical when he has the ball and really aggressive when blocking. He looks lean but he could get bigger and add more muscle to his frame. He has great body control and tracks the ball well. Has a little bit of foot work to his game and can make people miss occasionally. I was disappointed with his 5 reps on the bench but he does have long arms which make it harder to throw that bar up. For me he could be a steal towards the end of the draft, say maybe a 6th round pick that we have. Keep an eye on this dude. For more check out the Wide Receivers Prospects page. First I may have gone overboard with defensive players but I think we need to continue to develop that side of the ball. What you should take away from them is not the picks but the rounds and the players I chose. I believe these are guys we could be targeting in those rounds. In all likelihood this will not happen. Also take away from this the prospects I mentioned but did not pick, these are also guys I think we could be looking at. I think this mock fills a lot of needs and adds depth and talent to the roster. I didn't get a fullback or offensive line depth but they were secondary needs for me. I selected in total 7 players, 5 on defense (3 in the front seven and 2 in the secondary) and 2 on offense. I think it adds a lot of talent to the roster with a number of possible starters. With this mock I can see us possibly going all the way. We have filled key holes and added depth to the team. 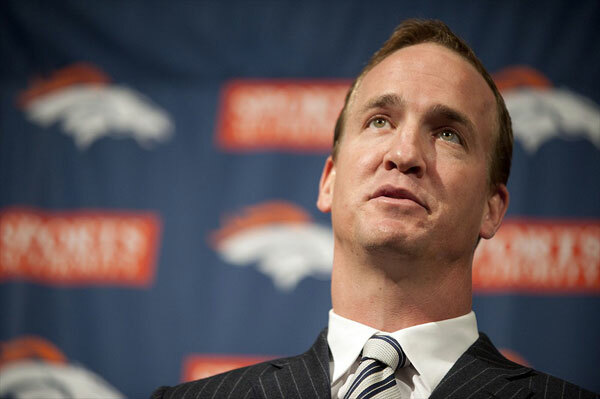 One of the main reasons we could struggle would be if Manning gets injured. Lets just hope it doesn't come to that. Even so we should be picking late in the first round next year and have a chance at guys that may drop. That is it for my mock. Most of you may disagree with this mock or think another prospect would have been better than the ones I selected so let me know what you think in the comments below. 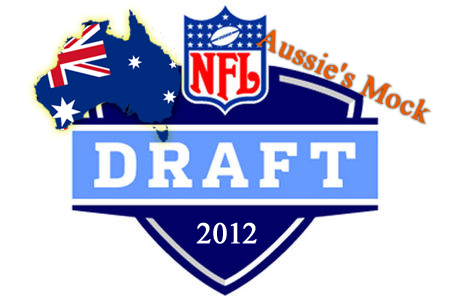 Oh and look out for the draft competition submission post tomorrow ~ Aussie. Of course this could be completely thrown out of whack if we trade for Samuel. I also got a response back from Rotoworld, they said they no longer have a widget which is a bummer. Good mock. I could be happy with that. A couple more Aggies. Did you know Von and Gray have been teamates since 8th grade? Something like that anyway. Gilmore has shot way up since my 1st mock. I had him in the 2nd at #57 at one time. Most are saying top 20 for sure now. You don't want him if we get Samuel anyway though. When they canned McBean, it got me wondering if DJ wasn't far behind. Speculation of us trading DJ for Samuel goes way back, but I'm not sure we need to do that now. A 6th will get him. 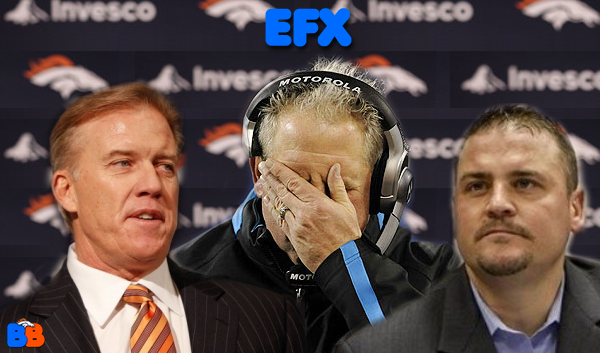 I think it was a 6th and a player, which the Broncos knocked back they didn't want to trade that player. The 5th round trade is more likely but the Broncos and Samuel couldn't agree on a contract. And that is pretty cool about Miller and Gray. Gray is a good back. I have heard Gilmore could go as high as the Jaguars. But I am thinking more than likely in the teens. Some reports out that the Broncos have made 'inquires' about moving up and taking my boy Stephon Gilmore. That fits with two of my gut feelings. One that the Broncos will surprise everyone and move up for that impact player. And two Gilmore is the second best corner in the draft. Interesting take on the defense JDR will run. I feel for the big guys with fat fingers.